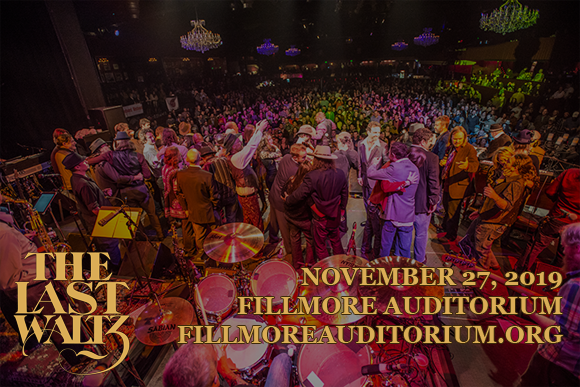 An annual celebration of the incredible musical talent Denver has to offer, and a stellar recreation of The Band's seminal live recording The Last Waltz, The Last Waltz Revisited comes to Fillmore Auditorium on Wednesday 27th November 2019! Lead, as always, by the incredible Denver jam band Polytoxic, this yearly festive jamboree is full of community spirit, and fun from start to finish! In 2005, award-winning Denver jamband Polytoxic wanted put on an event to showcase the talents of the local music scene. When they were given a DVD copy of The Last Waltz by Canadian-American roots rock group The Band for Christmas, they were inspired to recreate the iconic show with their talented friends and bands from Denver's thriving music scene. That year, The Last Waltz Revisited was born; a live recreation of the famous movie, featuring sixteen guest musicians and a four-piece horn section. The show was such a success that it became an annual tradition, and now The Last Waltz Revisited performs at two venues each year, and boasts “more than 60 musicians, a full horn section, and over 30 songs from The Band’s extensive catalog”.